Health and safety training for professionals, employers and managers. UDT is an institution of public trust that provides services to meet the requirements of European law and international standards. The objective of Office of Technical Inspection is to reduce the risks that may result from improper use of equipment. UDT is necessary to ensure the safety related to equipment proper use, its repair and modernization. All training sessions organized by Personnel Training Centre-ERGON are designed for handling equipment that meet the requirements and UDT, regulated by the Office of Technical Inspection. Rate of trucks drivers motorized. The course objective is to acquire the skills and the right to drive pallet trucks. We offer consultancy services in the field of occupational health and safety and fire protection for clients who aim for achieving the greatest benefits possible. In this respect, we realize disposition of labor laws and fire protection. Our services focus on achieving measurable results in the development and improvement of good safety standards with particular emphasis on increasing technical culture workers. According to the rules enforced by the European Union, employers must ensure the safety of their employees. Employees should be informed about the possibilities and the ways of eliminating hazards and applying the principles of hygiene in workplace. However, and in order to ensure that safety knowledge gained will always remain in the minds of employees throughout their employment, you may want to choose specific centers that conduct modern training methods. Personnel Training Centre-ERGON offers special training and imparts essential knowledge to improve health and safety standards that are not delivering the expected results. Long theoretical lectures do not motivate participants to become actively involved, and eventually result in rapid fatigue. Modern methods of training practiced by Personnel Training Centre-ERGON' trainers help maximizing participants’ involvement, resulting in highly effective health and safety training. Personnel Training Centre-ERGON directs its offer to companies interested in applying and enforcing health and safety standards, ensuring that employees are totally aware of the risks they may encounter in their workplace, thus easily avoiding them. The Association of Polish Electrical Engineers is the most prestigious organization integrating non-governmental professional society of Polish Electrical Engineers. SEP, inter alia. It focuses on educating participants about the use of power equipment. Energy Law obliges the people involved in the operation of equipment and installation of electricity, to have qualifications attested by the examination committee. Ośrodek Doskanalenia Kadr ERGON kindly invites You to familiarize with the full offer of BHP, UDT, SEP, SIMP, PSE, SITPS courses and other professional trainings. 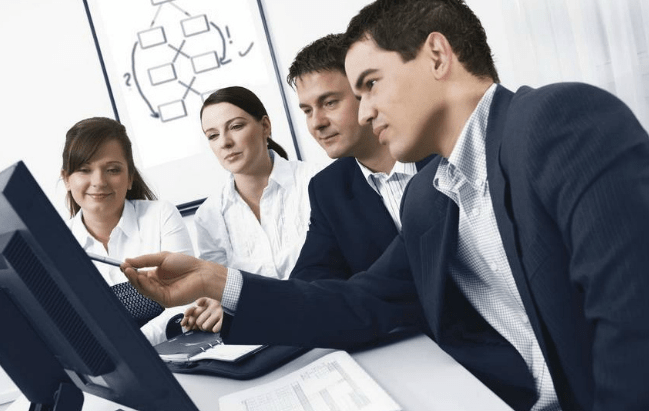 We provide our customers with the best training solutions – our trainings are fast, cheap, effective and available in Warsaw as well as in other cities in the whole country. Our offer covers mostly UDT courses. We run classes in accordance with the latest requirements of Urząd Dozoru Technicznego (the Office of Technical Inspection]. We also offer training courses for other equipment, such as forklifts, UNO courses – equipment for filling and emptying transportation tanks, TDT (Transport Technical Supervisions) trainings. Furthermore, we prepared SEP trainings (G1, G2, G3) – the exams may be taken before SIMP, PSE and SITPS commissions. We organise industrial climbing and rigging courses, trainings in welding, fusion welding and various methods of brazing, including welding of optical fibres. We specialize in OHS induction and periodical trainings and courses in fire professional regulations. We also provide professional OHS services, including counselling, preparation of documentation, research on hazardous factors, post-accident proceedings. We kindly invite You to use the offer of Ośrodek Doskonalenia Kadr Ergon!